Andrew is one of the UK’s most experienced and versatile church musicians. His career has taken him to three continents, working in schools, churches and cathedrals, and he has appeared in some of the world’s most prestigious venues as conductor and organist. He is a Fellow, prize winner, and former Trustee Councillor of the Royal College of Organists, tutor for the RCO Academy, examiner for the Associated Board of the Royal Schools of Music, and Artistic Director of the East Anglian Academy of Early Music. He has served as organist of Hampstead Parish Church and The Royal Hospital School, Holbrook. Andrew was educated at Reigate Grammar School, Barnard Castle School and Durham University, and studied the organ with Lady Susi Jeans, Peter Wright, James Lancelot and Gerre Hancock. Appointed Master of the Choristers at Grimsby Parish Church at the age of just 23, Andrew went on to hold similar positions at the Wellington Cathedral of St Paul, New Zealand, St Paul’s Cathedral, Buffalo, NY, USA, and Croydon Minster, London. At The Royal Hospital School, he was responsible for the iconic 4-manual Hill, Norman & Beard organ of 1933. Known for his engaging style, and creative and innovative programming, Andrew’s choirs have attracted international acclaim. The Yorkshire Post described the Choristers of Grimsby Parish Church as: “a revelation – the only parish church choir in Britain able to take on the big hitters of the International recording market and leave them all standing” and The Diapason judged the choir of Wellington Cathedral “to be ranked among the finest exemplars of the Anglican choral tradition anywhere in the world”. Concert performances have included Messiaen’s Trois Petites Liturgies with the Girls’ Choir of Croydon Minster & London Mozart Players, Mendelssohn’s Die Erste Walpurgisnacht with the Choir of Wellington Cathedral and the New Zealand Symphony Orchestra, Purcell’s Hail! Bright Cecilia with the Choir of Grimsby Parish Church & The Parley of Instruments, and Monteverdi’s Vespers with the Choir of Croydon Minster and the English Cornet & Sackbut Ensemble. He presented a series of liturgical Bach cantatas with the choirs of St Paul’s Cathedral, Buffalo, and has commissioned anthems, an oratorio and community opera from Francis Jackson, Brian Solomons, John Psathas, Stephen McNeff, and others. Andrew has considerable experience conducting symphonic choirs, and was Musical Director of the Orpheus Choir of Wellington 1999-2004. During his tenure, the choir sang regularly with the New Zealand Symphony Orchestra, and appeared with composer Howard Shore in a concert of music from The Lord of the Rings film trilogy. He currently directs the Phoenix Singers, Framlingham in three large-scale choral concerts each year. Recent engagements have included Stanford Songs of the Fleet at Snape Maltings, and a concert with Julian Lloyd Webber to celebrate the music of his father. As an organist, Andrew has broadcast on Concert FM (Radio NZ), NPR (USA) and BBC Radio 3. In New Zealand, he appeared regularly as a concerto soloist with the New Zealand Symphony Orchestra, including a live radio & TV broadcast for the 250th anniversary of the death of JS Bach. His recording of virtuoso French organ music from Wellington Cathedral ‘Fete’ was hailed as: “music to convert the stoniest of hearts to the cause of the French organ school, and Cantrill presents it all so fetchingly… he is a formidable musician, and his feeling for timbre and texture makes the CD just so inviting.” (NZ Herald). His recital career has taken him around the globe, with recent concerts including Bath Abbey; the Marktkirche, Wiesbaden; Liverpool Anglican Cathedral; Altenberg Cathedral; Santa Maria di Castello, Reggio Emilia; St Aposteln, Cologne; St Michaelis, Hamburg; and recitals in Denmark. He featured in the BBC’s Britten Centenary Celebrations, and has appeared as soloist in both the Edinburgh and Cheltenham Festivals. 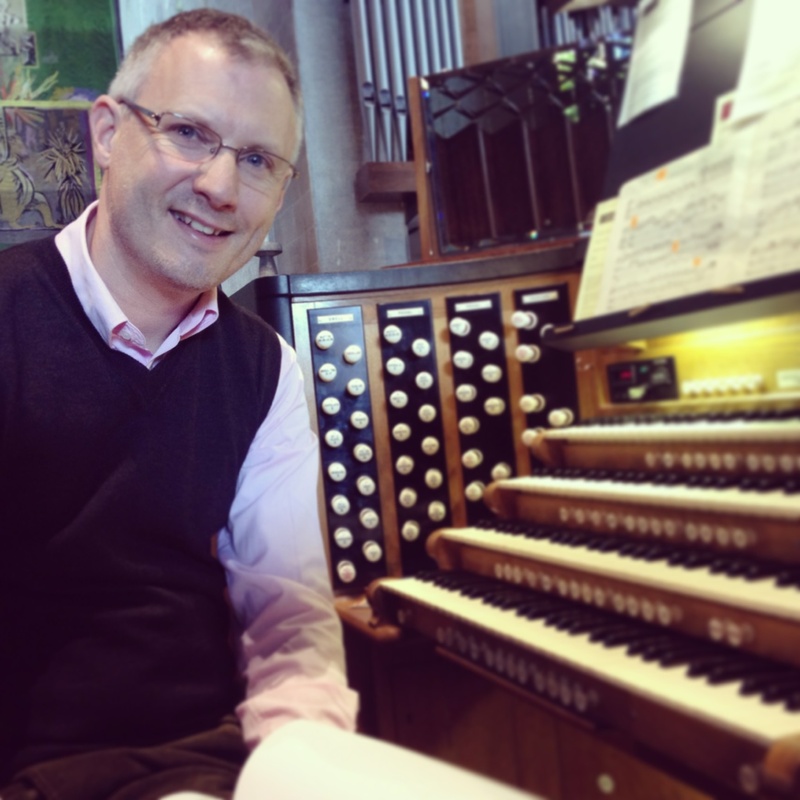 In recent years, Andrew has been increasingly in demand as a teacher and as a writer and lecturer on the organ and organ performance. His articles have appeared in Organists’ Review and Cathedral Music, and he has lectured for the RCO and IAO. He is responsible for much of the digital media on the RCO’s virtual campus, iRCO, as producer and presenter. His research interests include organ music during the French Revolution, and the Classical French and North German organ schools. Please visit the Diary page for information on upcoming concerts.